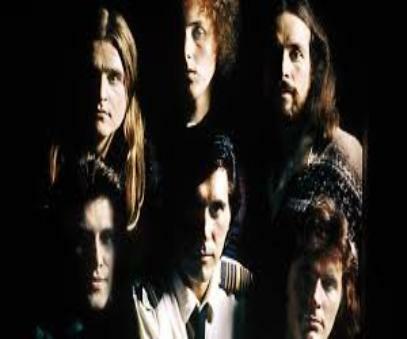 late 1970's and early 80's, Roxy Music (at right) released "Love Is The Drug." Elvis Costello, U2 and the Smiths, among others. would become Roxy Music. A short time after the band was formed, I brought Brian Eno into the mix. I had met Brian years earlier through my performance-art group. the same time. So I played and Brian Eno twiddled the knobs. We were also using the VCS in Roxy to treat and distort the vocals and oboe. all had similar interests. There was a combination of elements that we put together that sounded different from what everyone else was doing. century composers like Ralph Vaughan Williams. They had a folk-harmony feel influenced by early church music. The song I composed didn't have words or a title. Thompson wanted to push it along, to make it more dance-y. better if we sped it up a bit. was influenced by R&B sax players like King Curtis and wanted a nonjazzy riff. song. Playing it at the start and on the chorus was just enough. chiming guitars on the chorus. Paul Thompson played a strong and simple drum part, and Chris added a shimmering Leslie effect on the snare. John's bass line was a big influence on his group's "Good Times' in 1979.
hone his product and get it down to what he felt it should sound like. the bell to ring/T'ain't no big thing/the toll of the bell." something I had read or heard. off into town. We found different sounds for the opening on various sound-effects library recordings - a car starting and so on. Then we overdubbed them. would take us a little bit mainstream without compromising our artistic approach. We didn't want it to sound too strange. We needed to make some money and tour. North America had been hard for us. We were seen there as an art-rock band.
. Listen to a breakthrough song, years ahead of it;s time .